MyJustice is pleased to release the full version of Myanmar Justice Survey 2017 (MJS). 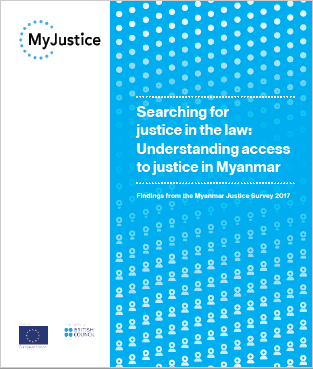 In 2017 MyJustice conducted the largest statistically significant survey on justice issues in Myanmar. 3,565 people over the age of 18 were randomly selected for the survey from across all regions and states in Myanmar. 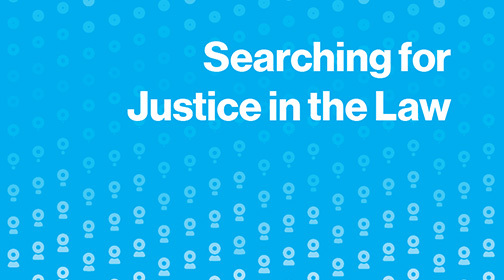 Myanmar Justice Survey presents the main results of this nationwide survey. Legal Aid in Myanmar is at an important stage in its development. The Government of Myanmar recently enacted a Legal Aid Law, commnities and individuals are learning about the availability of legal aid, and legal aid providers are perfecting the skills needed to serve their clients. 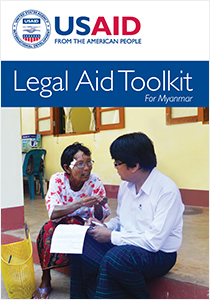 This Legal Aid Toolkit was prepared with the goal of educating and assisting Myanmar’s legal aid providers during this exciting transition. 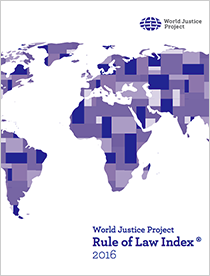 This 2016 report combines expert interviews with national surveys to measure 44 indicators related to rule of law in 113 countries and territories. Myanmar ranked 14th out of 15 countries in the region and 98 out of 113 globally. There is an interactive data explorer available here. In February 2017 MyJustice hosted the WJP Executive Director and team for a discussion of the 2016 Rule of Law Index findings in Yangon. A short summary of the event is available here.